Sill/Carr is known for creative solutions to difficult problems as well as simple, timely completion of routine construction projects. 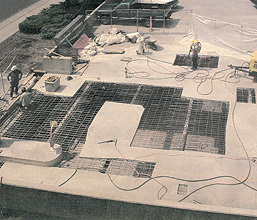 We have experience with placing and finishing concrete slabs on grade as well as slabs on metal decking. 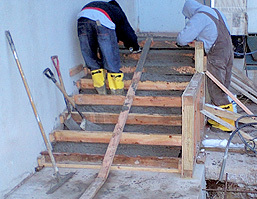 We are known for our restoration work, removal and replacement of sidewalks and/or slabs, for example. As you will see in our Case Studies section, we have experience with every type of project from sidewalk repair to pouring new foundations to installing caissons. Some of the area's most well-respected companies have written Testimonial Letters citing Sil/Carr's cost-effective approach to their particular undertaking and complimented our work ethic. 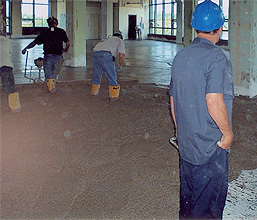 We would be happy to hear from you to discuss your next commercial concrete project.